It is my birthday month …. yay …. and as I was born on Valentine’s day, we will be sharing the love celebrating with some great give away prizes, for the month of February. Make sure you are following me on Facebook and Instagram for the details. This month I will be attending the Mind Body Spirit Festival in Brisbane from 23-25th February. Check out their website and Facebook page for lots of great information about the event. Come say hello or find out more about the Modern Oracle deck. I will be at the ‘Tarotopia‘ stand for one day only on Saturday 24th February. I am also booked to be at the Speakers lounge at 5pm demonstrating the Modern Oracle Deck and giving free readings. I look forward to seeing you there. Not long now until I say Aloha to beautiful Hawaii. I just love Hawaii and I have had some amazing spiritual experiences there. I am so looking forward to catching up with old friends and meeting new ones. If your in Hawaii come and join Emma and myself for an exciting two days of workshops designed to enhance your Spiritual journey and develop your Intuitive gifts. There will be limited spots so keep the weekend of 17th and 18th March available to join us for two life-changing days. 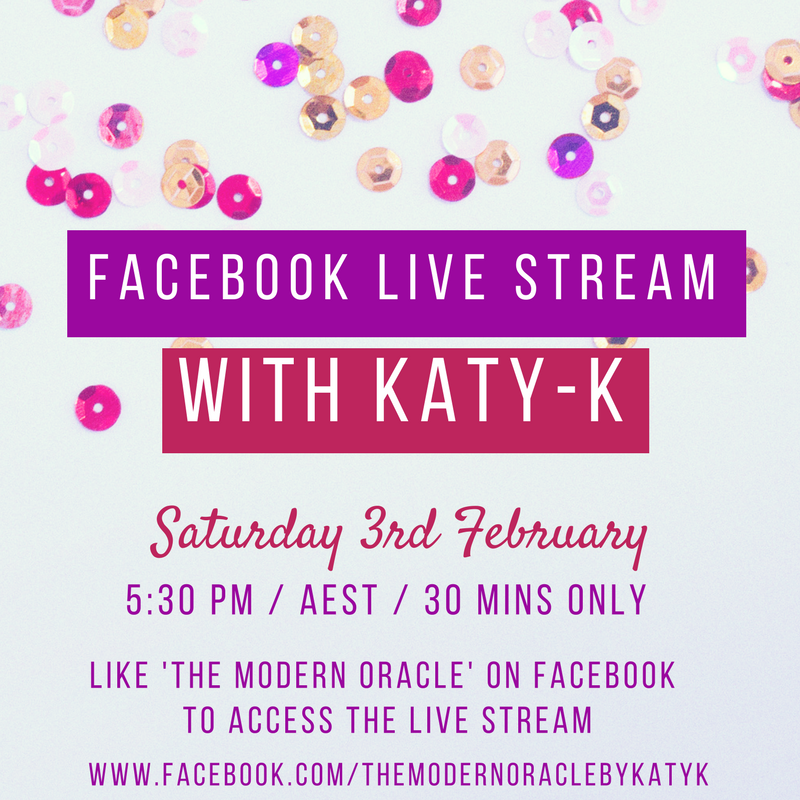 Remember to tune into my Facebook live stream tomorrow (Saturday 3rd February). Say hello and I will tune into your name and give you a reading. 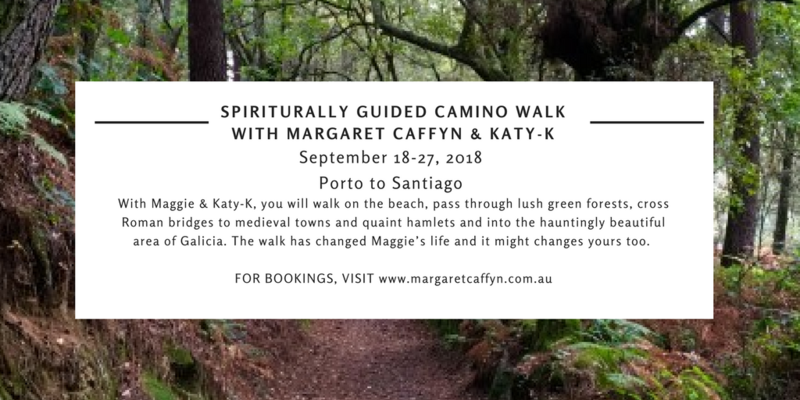 18th – 27th September – A Spiritually Guided Walk of the Camino with Margaret Caffyn & Katy-K, Portugal & Spain. 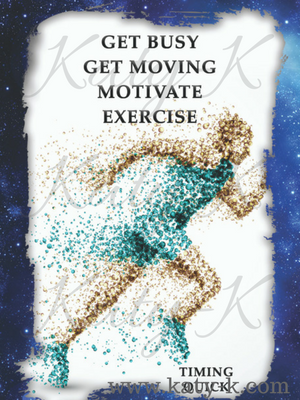 MOTIVATE / EXERCISEThis card comes up when you need a push in the right direction, when you need motivating. No time to stand still, get moving! This is also the card that suggests you need to get exercising; consider taking up walking, swimming or dancing. Join a gym, or better yet, use that gym membership! The timing on this card is quick, any time soon. Purchase your own copy of The Modern Oracle online today! To celebrate Katy-K’s birthday, we’re celebrating by holding a month long competition on Facebook! There’s 4 weekly giveaways up for grabs as well as an extra special birthday giveaway to keep an eye out for! and tag 3 friends in our competition post! Winners drawn every Friday! Good luck & get sharing! 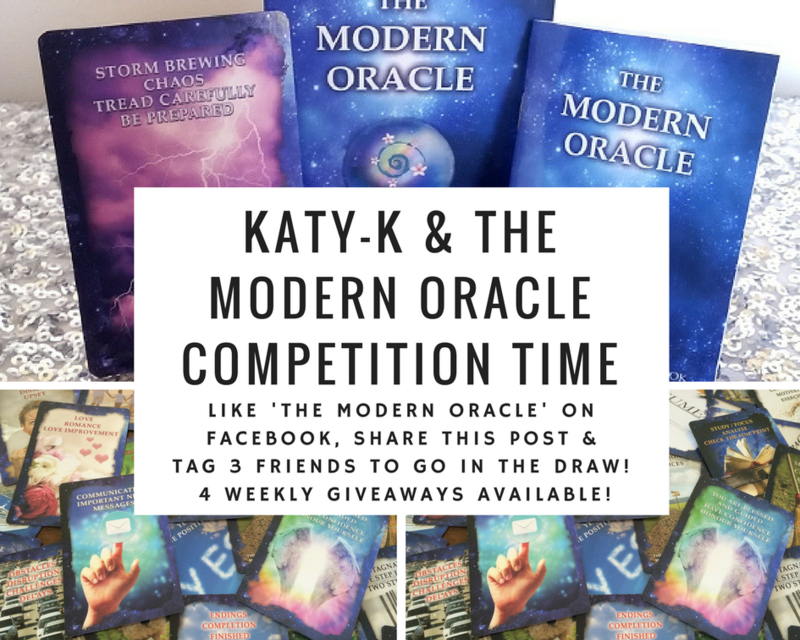 Prizes include, spiritual prize packs, oracle card decks, The Modern Oracle card deck, The Modern Oracle enhancer oil, healing mandalas, workshops & Spiritual Mentoring sessions with Katy-K! 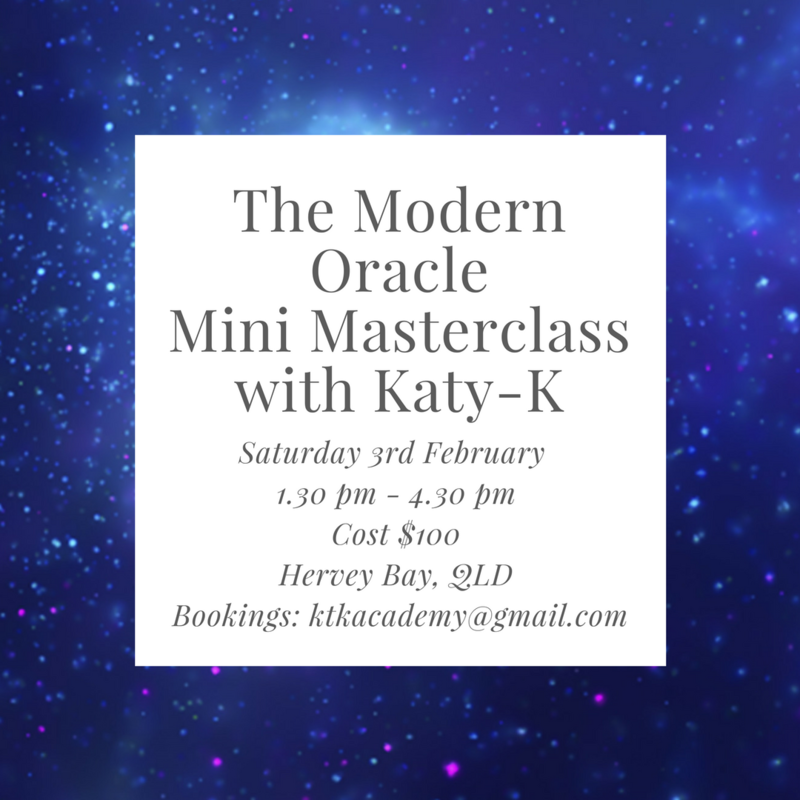 Come join Katy-K & Emma Kupu Mitchell for 2 days of spiritual growth, psychic development and fun! 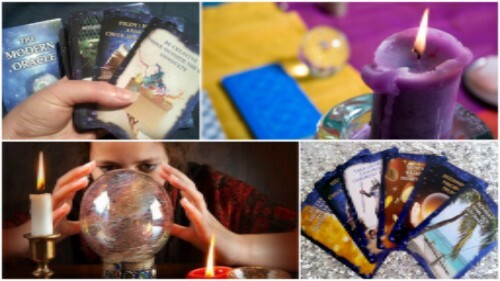 I love seeing you all use your Modern Oracle decks for readings & would love to share them with the world! Grab your Modern Oracle deck now & post a photo on Instagram or Facebook! Tag your photos with #TheModernOracleReading so we can find and share them! Where can I purchase ‘The Modern Oracle’? We have stockists in Australia, Canada, United Kingdom and the USA. Check out the full listing on the Stockists page on our website. 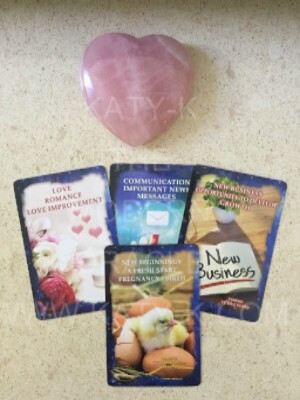 Spaces are available for anyone looking to book readings or lessons with Katy at the Spiritual Advancement Academy. Spaces do fill up quickly, so get in early! Call our office on 07 4128 7021. Don’t forget, Skype & Phone Readings and Lessons are the next best thing for those who can’t be here in person. For Skype readings or lessons, all you need is an internet connection as Skype is free of charge! If you need any help, speak to Brie in our office.